Viola Irene Desmond (July 6, 1914 – February 7, 1965) was a Canadian businesswoman of Black Nova Scotian descent. In 1946 she challenged racial segregation at a cinema in New Glasgow, Nova Scotia by refusing to leave a whites-only area of the Roseland Theatre. For this, she was convicted of a minor tax violation for the one-cent tax difference between the seat she had paid for and the seat she used, which was more expensive. Desmond's case is one of the most publicized incidents of racial discrimination in Canadian history and helped start the modern civil rights movement in Canada. In 2010, Desmond was granted a posthumous pardon, the first to be granted in Canada. The government of Nova Scotia also apologized for prosecuting her for tax evasion and acknowledged she was rightfully resisting racial discrimination. In 2016, the Bank of Canada announced that Desmond would be the first Canadian woman (as compared to British born royalty) to be featured on the front of a Canadian banknote, but that honour went to Agnes Macphail, who appeared along with three men on a small print run commemorative note issued in 2017 to mark the 150th anniversary of Confederation. In late 2018 Desmond became the first black Canadian-born woman to appear alone on a Canadian bank note—a $10 bill which was unveiled by Finance Minister Bill Morneau and Bank of Canada governor Stephen Poloz during a ceremony at the Halifax Central Library on March 8, 2018. Desmond was also named a National Historic Person in 2018. Viola Desmond (née Davis) was born on July 6, 1914, one of ten children of James Albert and Gwendolin Irene (née Johnson) Davis. Viola grew up with parents who were active in the black community in Halifax, Nova Scotia, despite the fact that her mother was white and her father black, unusual for the time. Growing up, Desmond noted the absence of professional hair and skin-care products for black women and set her sights on addressing the need. Being of African descent, she was not allowed to train to become a beautician in Halifax, so she left and received beautician training in Montreal, Atlantic City and one of Madam C. J. Walker's beauty schools in New York. Upon finishing her training, Desmond returned to Halifax to start her own hair salon. Her clients included Portia White and a young Gwen Jenkins, later the first black nurse in Nova Scotia. In addition to the salon, Desmond opened The Desmond School of Beauty Culture so that black women would not have to travel as far as she had to receive proper training. Catering to women from Nova Scotia, New Brunswick and Quebec, the school operated using a vertical integration framework. Students were provided with the skills required to open their own businesses and provide jobs for other black women within their communities. Each year as many as fifteen women graduated from the school, all of whom had been denied admission to whites-only training schools. 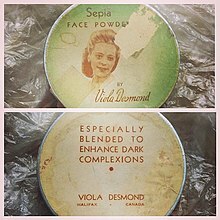 Desmond also started her own line of beauty products, Vi's Beauty Products, which she marketed and sold herself. Viola Desmond joined her husband Jack Desmond in a combined barbershop and hairdressing salon on Gottingen Street. 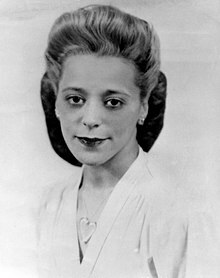 On November 8, 1946 while on a business trip to Sydney to sell her beauty products, Viola Desmond's car broke down in New Glasgow. She was told that she would have to wait a day before the parts to fix it became available. To pass the time while waiting, she went to see The Dark Mirror starring Olivia Havilland at the Roseland Film Theatre. There were no formal laws enforcing segregation in movie theatres in New Glasgow, and the theatre had no sign telling its patrons about the policy, but actually main floor seats were reserved for white patrons. Ms. Desmond was sold a ticket to the balcony unaware of the segregation and, being nearsighted, went to sit in the floor section to be close to the screen. When she was asked to move, she realized what was happening, and refused to move because she had a better view from the main floor there. Then she was forcibly removed from the theater causing an injury to her hip and also was arrested for 12 hours in jail, and had to pay a $20 fine. The tax on the balcony price of 20 cents was two cents; the tax on the floor price of 40 cents was three cents. She was convicted of depriving the government of one cent in tax. Desmond was kept in jail overnight and was never informed about her right to legal advice, a lawyer, or bail. Upon returning to Halifax, Desmond discussed the matter with her husband, and his advice was to let it go. However, she then sought advice from the leaders of her church, the Cornwallis Street Baptist Church, where the Minister William Pearly Oliver and his wife Pearline encouraged her to take action. With their support, Desmond decided to fight the charge in court. Following the decision to fight the charge, Carrie Best broke the story of Desmond in the first edition of The Clarion, the first black-owned and published Nova Scotia newspaper. Best had herself previously confronted the racial segregation of the Roseland Theatre. With the help of her church and the Nova Scotia Association for the Advancement of Coloured People (NSAACP), Desmond hired a lawyer, Frederick William Bissett, who represented her in the criminal trials and attempted, unsuccessfully, to file a lawsuit against the Roseland Theatre. During subsequent trials the government insisted on arguing that this was a case of tax evasion. A provincial act regulating cinemas and movie theatres required the payment of an amusement tax based on the price of the theatre ticket. Since the theatre would only agree to sell Desmond a cheaper balcony ticket, but she had insisted upon sitting in the much more expensive main floor seat, she was only one cent short on tax. The statute used to convict Desmond contained no explicitly racist or discriminatory language. Had the matter reached the court by some other method than certiorari there might have been an opportunity to right the wrong done this unfortunate woman. 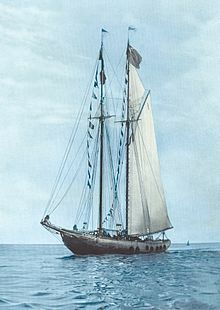 One wonders if the manager of the theatre who laid the complaint was so zealous because of a bona fide belief that there had been an attempt to defraud the province of Nova Scotia of the sum of one cent, or was it a surreptitious endeavour to enforce a Jim Crow rule by misuse of a public statute. —  Justice William Lorimer Hall, when dismissing Desmond's application. Her lawyer, Bissett, refused to bill Desmond and the money was used to support Dr. William Pearly Oliver's newly established Nova Scotia Association for the Advancement of Coloured People (NSAACP). After the trial, Desmond closed her business and moved to Montreal where she could enroll in a business college. She eventually settled in New York City, where she died from a gastrointestinal hemorrhage on February 7, 1965, at the age of 50. 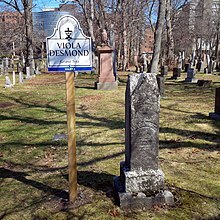 She is buried at Camp Hill Cemetery in Halifax, Nova Scotia. The gravesite of Viola Desmond at Camp Hill Cemetery, Halifax. —  Dr. William Pearly Oliver, reflecting on the case 15 years later. Desmond is often compared to Rosa Parks, given they both challenged racism by taking seats in a Whites only section and contributed to the rise of the Civil Rights Movement. At the same time, there are significant differences between the two figures. Desmond lived in a different legislative context than Parks, given there were no Jim Crow laws in Canada. Parks' decision to sit at the front of the bus was an act of civil disobedience against Jim Crow laws that supported segregation on public transit. In contrast, Desmond was protesting a private theatre owner's efforts at segregation, which were not supported by provincial laws. On 28 January 2019, a Nova Scotia school teacher was awarded the Governor General's History Award for her students' proposal to build a statue of Desmond in Cornwallis Park. Her proposal was to include the existing Edward Cornwallis statue among three other statues of Acadian Noel Doiron, Black Nova Scotian Viola Desmond and Mi'kmaw Chief John Denny Jr. The four statutes would be positioned as if in a conversation with each other, discussing their accomplishments and struggles. Cape Breton University established a scholarship campaign in the names of Viola Desmond and Wanda Robson, and named a Chair in Social Justice after Desmond. In 2012, Desmond was portrayed on a commemorative stamp issued by Canada Post. On July 7, 2016, a Halifax harbour ferry was launched bearing her name, along with the Christopher Stannix and Craig Blake. On December 8, 2016, she was chosen as the first Canadian woman to appear on the Canadian ten-dollar note after being on a shortlist of five. While Agnes Macphail appeared on a note in 2017 with three others, Desmond will be the first non-royal woman to appear alone on a regularly circulated note with the series to be issued in late 2018. Desmond was named a National Historic Person on January 12, 2018. In June 2018, Canada's Walk of Fame star was unveiled at the Halifax Ferry Terminal. On November 26, 2018, the Bank of Canada released a new design of the $10 bill, celebrating Viola Desmond's achievements in the civil rights movement. In 2000, Desmond and other Canadian civil rights activists were the subject of a National Film Board of Canada documentary Journey to Justice. A documentary film was made about her, entitled Long Road to Justice: The Viola Desmond Story. Her sister, Wanda Robson, wrote a book about activism in her family and her experiences with her sister, titled Sister to Courage. Desmond was also the subject of a children's book Viola Desmond Won't Be Budged by Jody Nyasha Warner. Singer Faith Nolan wrote a song about her. On February 2, 2016, Historica Canada featured Desmond in a Heritage Minute, filmed in High River, Alberta, in June 2015. The video features Kandyse McClure as Viola Desmond. She became the first historical woman of colour to feature in a Heritage Minute. Google's July 6, 2018 Doodle, created by Google artist Sophie Diao, celebrates the life and legacy of Viola Desmond, and was distributed across Canada. On April 14, 2010, the Lieutenant Governor of Nova Scotia, Mayann Francis, on the advice of Premier Darrell Dexter, invoked the Royal Prerogative and granted Desmond a posthumous free pardon, the first such to be granted in Canada. 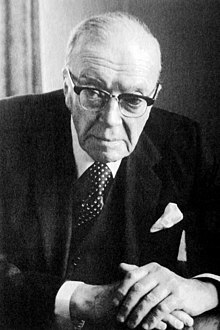 The free pardon, an extraordinary remedy granted under the Royal Prerogative of Mercy only in the rarest of circumstances and the first one granted posthumously, differs from a simple pardon in that it is based on innocence and recognizes that a conviction was in error. Francis, herself a Black Canadian, remarked: "Here I am, 64 years later – a black woman giving freedom to another black woman", about her signing of the pardon. The government of Nova Scotia also apologized. Desmond's younger sister Wanda Robson and Dr. Graham Reynolds, a professor of Cape Breton University, worked with the Government of Nova Scotia to ensure that Desmond's name was cleared, there was a public acknowledgement of the injustice and Nova Scotia reaffirmed its commitment to Human Rights. The provincial government declared the first Nova Scotia Heritage Day in her honour in February 2015. Desmond's portrait also hangs in Government House in Halifax, Nova Scotia. ^ a b c Carlson, Kathryn Blaze (April 14, 2010). "'Canada's Rosa Parks,' Viola Desmond, posthumously pardoned". National Post. Archived from the original on April 18, 2010. Retrieved April 14, 2010. ^ a b c "Late Viola Desmond Granted Apology, Free Pardon". NovaScotia, Canada. April 15, 2010. Archived from the original on May 2, 2014. Retrieved May 1, 2014. ^ a b "N.S. apologizes for 1946 conviction". Winnipeg Sun. April 15, 2010. Archived from the original on March 11, 2012. Retrieved April 17, 2010. ^ Harris, Kathleen (December 8, 2016). "Black rights activist Viola Desmond to be 1st Canadian-born woman on $10 bill". cbcnews.ca. Canadian Broadcasting Corporation. Archived from the original on December 8, 2016. Retrieved December 8, 2016. ^ Peter Goffin (December 8, 2016). "Civil rights pioneer Viola Desmond will appear on new Canadian $10 bill". Toronto Star. Archived from the original on December 8, 2016. Retrieved December 9, 2016. ^ Government of Canada Announces New National Historic Designations Archived January 19, 2018, at the Wayback Machine, Parks Canada press release, January 12, 2018. ^ a b c d "Viola Desmond". ojs.library.dal.ca/NSM/index. Nova Scotia Museum. 2015. Archived from the original on February 16, 2015. Retrieved February 16, 2015. ^ a b c Bingham, Russell (January 27, 2013). "Viola Desmond". The Canadian Encyclopedia. Historica Canada. Archived from the original on February 3, 2015. Retrieved February 16, 2015. ^ Bishop, Henry V. "Viola Irene Desmond — 2015 Honouree, Nova Scotia Heritage Day". novascotia.ca/archives/. Nova Scotia Archives. Archived from the original on February 16, 2015. Retrieved February 16, 2015. ^ Oliver, Leslie (2012). "Viola Desmond". www.bccns.com/. Black Cultural Centre for Nova Scotia. Archived from the original on February 1, 2014. Retrieved February 16, 2015. ^ a b c "Long Road to Justice – The Viola Desmond Story (Full Documentary)". YouTube. February 6, 2012. Archived from the original on March 5, 2014. Retrieved March 14, 2014. ^ "Viola Desmond Heritage Minute". Historica Canada. Archived from the original on December 25, 2016. Retrieved December 8, 2016. ^ a b c d Annett, Evan (December 8, 2016). "Who's the woman on Canada's new $10 bill? A Viola Desmond primer". The Globe and Mail. Archived from the original on December 8, 2016. Retrieved December 8, 2016. ^ "Carrie Best - Clarion Years". Carrie Best - A Digital Archive. Pictou-Antigonish Regional Library. Archived from the original on March 4, 2016. Retrieved February 10, 2015. ^ Mainstreet, CBC Radio Halifax, January 19, 2015. ^ Backhouse 1999, p. 266. ^ "Dismisses Desmond Application". The Halifax Chronicle. April 15, 1947. p. 14. Archived from the original on February 20, 2015. Retrieved February 20, 2015. ^ "Viola Desmond Chair in Social Justice". Cape Breton University – Sydney, Nova Scotia, Canada. February 28, 2011. Archived from the original on March 14, 2014. Retrieved March 14, 2014. ^ a b c "Viola Desmond 1st Nova Scotian honoured on new holiday". CBC News. February 17, 2014. Archived from the original on February 23, 2014. Retrieved February 27, 2014. ^ Doucette, Keith. "Civil rights pioneer's legacy grows with launch of the ferry 'Viola Desmond'". Archived from the original on July 7, 2016. Retrieved July 8, 2016. ^ Pearson, Heide. "Newest Halifax ferry named after N.S. civil rights activist Viola Desmond". Archived from the original on October 4, 2016. Retrieved July 8, 2016. ^ Kathleen Harris (December 8, 2016). "Black rights activist Viola Desmond to be first woman on $10 bill". CBCNews. Archived from the original on December 8, 2016. Retrieved December 8, 2016. ^ Sammy Hudes; Megan Dolski (November 24, 2016). "Five women shortlisted for new Canadian bank notes". Toronto Star. Archived from the original on November 25, 2016. Retrieved November 25, 2016. ^ Bundale, Brett, "Canada unveils $10 bill featuring civil rights icon Viola Desmond" Archived March 8, 2018, at the Wayback Machine, The Star, March 8, 2018. ^ "ew $10 bank note featuring Viola Desmond unveiled on International Women’s Day" Archived March 8, 2018, at the Wayback Machine (press release), Bank of Canada, March 8, 2018. ^ Cooke, Alex (November 12, 2018). "New $10 bill featuring Viola Desmond goes into circulation next week". Archived from the original on November 13, 2018. Retrieved November 13, 2018. ^ "Canada's Vertical $10 Note". bankofcanada.ca. Bank of Canada. Archived from the original on November 27, 2018. Retrieved December 1, 2018. ^ Roger McTair, director (2000). Journey to Justice. National Film Board of Canada. Archived from the original on October 5, 2013. Retrieved September 30, 2013. ^ Robson, Wanda; Caplan, Ronald (August 11, 2010). Sister to Courage: Stories from the World of Viola Desmond, Canada's Rosa Parks. Breton Books. ISBN 978-1-8954-1534-6. ^ "Viola Desmond Won't Be Budged". House of Anansi. April 15, 2010. Retrieved March 14, 2014. ^ "Music". faithnolan.org. Archived from the original on March 14, 2014. Retrieved March 14, 2014. ^ "Viola Desmond Heritage Minute debuts, honouring the 'Rosa Parks of Canada'". CBC News. February 2, 2016. Archived from the original on February 2, 2016. Retrieved February 2, 2016. ^ Sadaf Ahsan (February 2, 2016). "Historica Canada honours Viola Desmond, the 'Rosa Parks of Canada,' with a Heritage Minute". National Post. ^ "Viola Desmond's 104th Birthday". google.com. July 6, 2018. Backhouse, Constance (1999). Colour-coded: A Legal History of Racism in Canada, 1900–1950. University of Toronto Press. ISBN 978-0-8020-8286-2. Walker, Barrington (2012). The African Canadian Legal Odyssey: Historical Essays. University of Toronto Press. ISBN 978-1-4426-4689-6. The King v Desmond (1947), 20 MPR 297 (NS SC), at 299–301. Wikimedia Commons has media related to Viola Desmond.